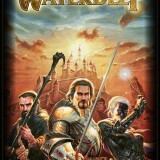 An addicting game that involves in depth plotting and scheming to defeat your opponents, in true Waterdeep style. A little daunting at first. Playdeck brings Wizards of the Coast’s epic board game to iOs for a handy, mess free way to get your Dungeons & Dragons fix on the go. For the uninitiated, Lords of Waterdeep is a sprawling Dungeons & Dragons branded board game that was released by Wizards of the Coast in spring of 2012. 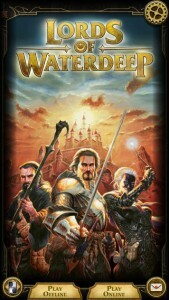 As you may have deduced from the name, it features the city of Waterdeep, from the Forgotten Realms. The board game and iOs version play out exactly the same, but the mobile version has the bonus of not having to deal with approximately a billion different markers and cards, making it a great choice for those times when you just have a few minutes, but want to get some gaming in anyway. Naturally, you’re going to find the iOs version much easier to pick up and play if you are already familiar with the board game, mainly because there is a lot to learn at first, and it can be quite daunting. It’s one of those games best learned by playing, and you’ll find that by a few rounds in on your first game, you’ll pretty much have everything figured out – but those first few rounds will likely be a little confusing as you try to absorb everything at once. To combat this, the iOs version of Lords of Waterdeep has a skippable tutorial that does a really good job of easing you into the game, one concept at a time. The tutorial is even split into different sections, which helps to keep you from feeling overwhelmed by so. much. information. Even after the tutorial is finished, the complete rules of the game can be accessed at any time through the menu, so you can always go back and check out different aspects of the game if you get stuck, even mid-game. So all that’s great, but how do you actually play the game? I’m glad you asked. Like I said, it sounds daunting at first, but rest assured you’ll be playing like a pro in no time. The Lords of Waterdeep referenced in the title refer to the main players in the game, which represent the scret society of lords who scheme behind the scenes in the city of Waterdeep. 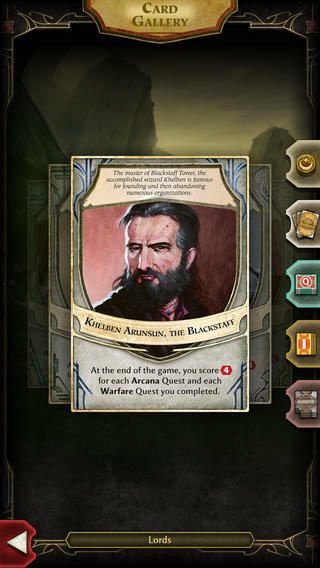 Each of you will get a lord card, which features a picture of your lord, along with their stats and special attributes. This is important, because which lord you play with affects your final score, based upon which quest types they have an affinity for. Though your lord is kept hidden from other players, you can easily check which quests will give you that end bonus, and select quests to complete accordingly. 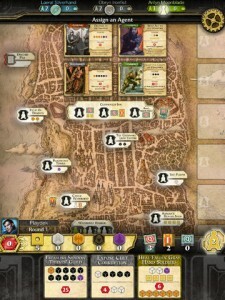 Lords of Waterdeep is played out in eight rounds. Each turns consists of each player being allowed to place one of their agents and complete a single quest, should they have all the markers needed to do so. The round ends when all agents have been placed. 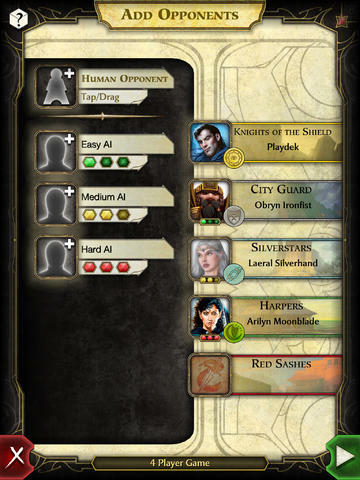 The agents can be placed on any of the open spaces on the board, each of which has a stated effect – for example, collect four gold pieces, or one wizard, and some allow you to play intrigue cards. The items you collect are then used to complete the quests, each of which states which objects, and how many of them, are needed for completion. If you aren’t keen on placing your agent on any of the open buildings, you can also choose to build your own. You’ll need to place an agent on the building hall, and purchase the building you’d like. It is then played just like any other space on the board, except the owner gets a bounty when other player’s agents are placed on it. At the end of the game, the player with the highest score is the winner. It sounds confusing, I know, but everything is quite clearly marked, and the game does a good job of guiding you through it all. This being a mobile version of a board game, you don’t much have to worry about things like graphics or loading times. The game is set up just like the board game, down to the look of the cards and the configuration of the board itself, providing a seamless transition from physical to mobile play, and they’ve done nothing to mess with the winning formula of the original game. You can choose to play offline against AI players (which is a great way to home your skills), or plot and scheme online. Either way, you’ll soon find yourself devising devious strategies to bring down your opponents, in the true spirit of Waterdeep. 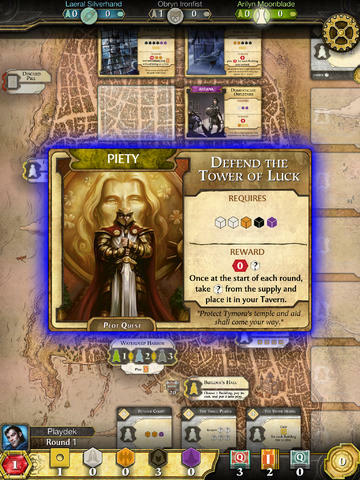 Lords of Waterdeep is a really well done mobile version of the immensely enjoyable and diabolically devious board game, Lords of Waterdeep. 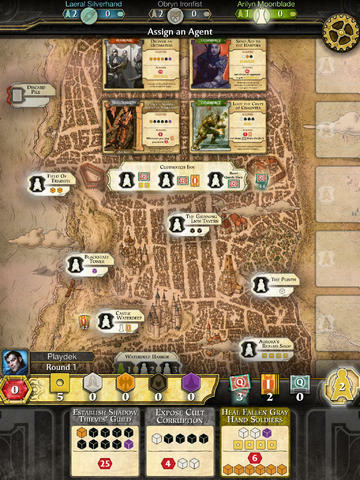 It’s a game that just begs for plotting and scheming, and the mobile version captures the spirit of Waterdeep quite well. While it’s a complicated game at it’s heart, both the tutorial and the clearly marked pieces make for a game that is easily learned (though not so easily mastered). Whether you’re a fan of Dungeons & Dragons from way back, or completely new to the city of Waterdeep, you’ll be completely hooked in just a few rounds.